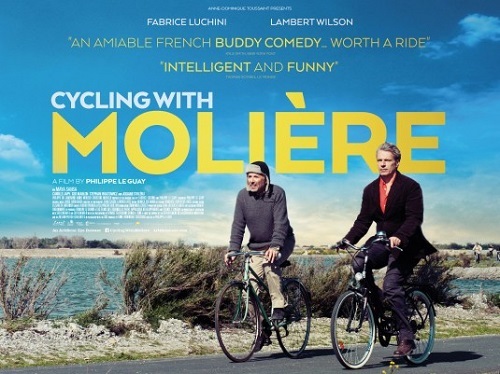 Waterford Cultural & Language Exchange presents ‘Cycling With Moliere’. Lambert Wilson and Fabrice Luchini bring distinctive elegance and style to this bittersweet two-hander from writer-director Philippe Le Guay about two middle-aged actors guardedly renewing their friendship. It is urbane and watchable, like the two leads on their rickety bicycles touring Ile-de-Re. This entry was posted on February 20, 2017 by waterfordarts in Film, General, Greyfriars Municipal Gallery and tagged Arts & Entertainment Waterford, Cycling with Moliere, french film, Greyfriars Municipal Gallery.